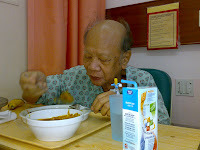 This is Dad yesterday eating his food and this morning walking around the hospital. He was walking around until the nurse ask him "Uncle what you want?" It is nice to talk about something else beside Dad. A side note on Dad... He is getting better he is off the drip and they are monitoring him. After seeing Dad went to the condo because they were fixing the kitchen to check on their progress. They are quite fast and almost everything is done except for the granite top. When my Dad was on the floor and my sister was holding his hand. My mom was shouting to us go switch off all the air cond. Can you make sure all the air cond are switched off upstairs. Oh well ppl panic in different way. Then when my sister was asking my Dad to squeeze his hand.. My mom was saying to my dad.. Jake is here also.. Can you hear jake barking ? Jake is barking can you hear him. Lucky jake the nut was barking so loud even if my dad wanted to close his eyes he cannot because Jake bark so loud. Then my sister told me that Jake licked my Dad forehead too.. haha.. JAKE WAS A HERO FOR ONCE IN HIS LIFE. Then I had to lure Jake away from my dad and get jake away so the ambulance ppl can do their job when they come. I took a cookie (well Jake no 1 priority is still food) threw it in the back room, so that i can lock him there. I dont care that he scratch or bark the house down. After I closed the door i away to wait for the ambulance and to help my sister. The next thing I know was jake walking outside again near my Dad. Aiya.. my Mom let him out of the room. Aiyo !!!!!! Lucky managed to get the chain around him, so tied him outside. Of course he brak and bark. Lucky by that time my cousins were here. We actually had to put someone to look after Jake. so he dont attack the ambulance ppl. When they put my dad in the ambulance my cousin said for my sister and I to go in ambulance with him. Cool man.. get a ride. When I was about to get i realised all my dad medical card and stuff was in my car. Coz i put it there.. So I ran to car to get.. when I turn back my dad and sister already in ambulance and door is closed. There goes my chance of a ride. Then the ambulance try to turn out. I realised the way I parked my car made it very hard for the ambulance to get out. So I had to drive my car away so follow behind ambulnace. When the ambulance get out instead of turning right which is the fastest way to UH it turn left. When we reach the hospital of course I was later than the ambulance. I ran into the emergency ward. I saw my dad on the stretcher and my siste I dont know where. 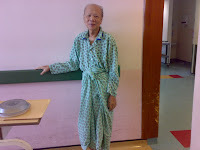 I talked to my Dad to reassure him not to panic or be scared coz he in hospital now. I dont know if I was telling myself or my Dad. Then I went over to talk to a guy who look like he is the doctor. Shove all my Dad medical card at him, then he very slowly started asking me questions like what happen, how is he, just keep asking me questions. I was quite cool abt it at 1st coz I understand that he needs to know the history and what happen. After abt 200 questions, I got abit annoyed and raised my voice to ask the dr to take a look at my dad.. he was just lying there nobody attending to him. Then I kena lecture from Dr, so i walked away. He went and drink two cup of water and then walk ever so slowly to my dad. WTF WTF.. Then my sister came back and ask me what happen. Kena lecture from her too... she say I watch too much Grey anatomy. (Yeh hor.. where is are the handsome doctors!!! Oh yeah.. for the fri day emergency we paid RM 20. Guess what I bought deli France.. and it cost me RM 32. My drinks and snack more expensive than my dad treatement. Last evening when I went to see my Dad, I was actually a bit hungry so I was thinking "Ah.. since it is dinner time, maybe there will be some food left for me." Since he is not well, I don't think he will finish his food. Coz last few days there was still food left. When I reach the room, I saw his tray put a side, I open the cover "THERE WAS NOTHING LEFT, NOT EVEN A GRAIN OF RICE." I asked him "You finish all the Food ah." Then he smile at me and said "Yes". Even the fruit that they gave him he ate it. All that was left for me was the packet milk (and that was because he don't take packet milk). Then the nurse came in and talk to him. Uncle how are you ? You finish all your food ah... Are you full Then attend to his IV make sure that is was dripping correctly. So many nurses attend to him. Aiyo no wonder he didn't talk about going home. Then he talked about who he is going to invite for his thanks giving party and where he wants it. I HOPE HE REMEMBER TO INCLUDE ME IN THE PARTY. Then there was this girl that always come and take his blood. So we were wondering whether the girl is doctor or still medical student. This morning I went he told me "The girl graduated already, now doing housemanship for 1 1/2 year". Way to go dad upgrade from nurse to doctor. I think better bring him home soon. My mom is going twist his ear when he reach home. But thank god is is back to his joking self and talking about food. 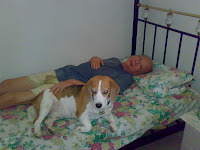 We thought Dad was OK since he was discharge from the emergency ward. Then Sunday evening I notice he seems a bit worse but in my rush to actually do so many things in a very short span of time I forgot to buy 100+ and some protein drink. Then I thought I could still do it on Monday. Anyway sunday evening... Dad went up to sleep. I notice that he went to toliet coz we share a connecting toliet. I heard him groan abit so I ask him "are you OK?" he said OK. But when he went back to bed. I notice he was a bit weak and pale. So i told my sister better bring him back to UH, he dont look well. My sister talk to him and he agree to go. So I went to change my clothes and get the car ready. Clear the junk from my car, get a plastic bag ready so he can vomit if he want to, kick all the shoes out of the way so that he can walk with ease. Put a slipper in the right position so he can just step into it. My mom and my sister was helping him down the stairs, then suddenly i heard a scream and crying. I can see my Dad slipping to the floor and my mom and sister trying to hold him up. My heart stopped at stage. I ran to help them to put him on the floor. I can hear my mom crying and i know my sister was trying talk to dad and try to calm mom at the same time. I was calling 999 to get an ambulance. They were asking me alot of silly questions I try hard not to panic and repeated my address slowly to make sure they know where is it. But 999 continue to ask me question like where is your nearest hospital? Can you call another number ? I was thinking WTF... I cant find a pen and paper. I was angry coz i can hear my sister talking to my Dad and my mom crying abit. I was thinking i shld be with my Dad or mom.. so I hang up the phone and call my cousin Patrick and Oi sin coz I know both of them have ambulance number. Lucky both of them pick up the phone almost on the 1st ring. When i said Dad fainted call ambulance and I gave them my address they call the ambulance. My mom and sister was holding my dad hand one on each side, i try to get near my Dad but my wonderful dog jake was guarding my Dad. he was standing in between my dad leg on the floor and when I try to walk near him he try and attack me. What la.. this jake.. I cant even get near Dad coz jake was showing me his teeth so I gave up and go and find some more ambulance number to call. At that stage i would have call all the ambulance in the world just get one here. Lucky one call me from UH to ask me for direction so i knew it was on the way. Actually I dont know whether it was me or my cousin who call it. Coz I also call other ambulances. I think between the 3 of us we called abt 6 ambulances services. Lucky can still think at that stage.. so had to lure my dog out and put the chain on him and tie him outside. and drive my car out so ambulance can come in to the house. By the time my cousins came already lucky they live quite near by. So at least got more people in house. But we were still like waiting waiting .. for the ambulance. Lucky I saw the ambulance coming to was waving to them to come to my road. Managed to get Dad on to the ambulance and they took off to UH. Actually it all happen in about 30 mins but it seems like forever to me. When they did a check and they found that his sodium has drop to 1.7 something normal is 140 something. So they put him on the sodium drip again but this time they had to ward him. By the time my sister and I left the emergency ward again was abt 5 am. Well... I must say that it was very scary but it is important to think back and laugh to get rid of the stress. When I reach home saw Dad in bed and he was wearing his short and tee shirt. Since we bringing him to hospital Mom wanted him to change in to shirt and long pants. Well.. I can say that the hospital is not a beauty contest so dont matter what you wear. But when Dad try to sit up to change he fall back down again. So guess he not going to win the best dress in the hospital coz we only managed to change his shirt. While we were waiting for my father to feel better before we bring him to hospital, my mom keep telling me to buy my cousin Patrick lunch. She keep asking where to go for lunch. But that was actually the least of our concern. I was relaxing and wanting to go to toilet suddenly I see my father walking past me going to the car. I was like "Hey Dad wait for me!!!!" I had to jump out of my seat in the living room grab my bag and car keys. I was not really ready.... lucky I had all my stuff with me. Didn't have to hunt for keys and wallet and handphone. We actually told my sister to come home 1st coz at 1st we thought we be a long time, so when Dad made his mad dash to the car.. I wanted to drive off already. My mom was saying to us hey.. wait for your sister she on the way back. But we ignore her coz it was more important to get the Dad to hospital. Then I drove slowly at first because I didn't want to shock and shake him. Then when we were around uptown the area. I was some more chatting to my cousin in the car. Suddenly I heard my Dad groan and moan.. and make sound like he going to vomit. Then I panic.. said to my cousin made we shld just go nearest hospital. But Dad said from the back he want to go UH. So my cousin said drive faster... So I be drove like a F1. Weave in and out of traffic and curse and swear at every traffic light. So next time if you see people doing this it is not because they want to.. but because they have no choice. Finally managed to get at hospital but cars was in the way.. so I horn my horn. hehe.. yeh I know it is hospital I was in panic mode. The whole drive I dare not look at the rearview mirror or turn back to look at Dad. I was so scared at what I will see. Actually Dad was sitting behind me on the drive to the hospital but the emergency people took the stretcher to the passenger side of the car. My cousin and I run to driver side to help my dad out of the car.. We look "hey dad is missing!!!" then we found that Dad has moved to the passenger side so he can get on to the stretcher. He smarter than us. We were like playing catching with him. Good sign he can still move. When he was inside the emergency room he wanted to go toliet but he was on the bed and really really dizzy. I saw him talking to nurse, so i went to Dad and ask him what you want. He said he want to pee. So I told the nurse. Bugger the nurse ask my Dad to get up and walk to the bathroom. she keep pointing to ask him to walk there. What la..
Oh.. after that all funny incidents stop coz they put dad on the drip. But lucky they put him near the toilet.. coz he went like every 10 mins and everytime we came back to look for him (coz you not really allow to hang out in the emergency ward unless you lying in a bed) he was in the toilet. On fri he can still walk to toilet unaided. Then when he finish his drip he felt so much better. My sister and i wanted to talk to Dr and find out why. My dad walked out of the emergency room already to go home. I guess can't blame him he dont want to stay. So we had to get out and take him home coz he wasn't going to stay. Oh.. well.. But thank god really he is OK. I really don't know how to describe the last four days of my life. But first let me say that I am very thankful that my Dad is now recovering. My thanks also go out to all my relatives who were there for my family. Words are just can't describe not enough to say how we feel having them around. To My godkids and their parents for their concern thank you also. To all my frens for their concern, it wonderful and comforting to know that there are people around whom i can call. You can not describe the feeling of knowing that you will not be alone. Thank you to every one. I also Thank God for being there and comforting me and giving me the strength to remain calm. I got a call on Friday morning at abt 10:30 am. and it was my worse fear come to true. My mom said that my Dad fainted in the house... My heart dropped ... I was thinking who can I call coz I know it will take me at least half an hour to get back. Lucky I thought of my cousin Patrick coz he work near my house. So call him and he rush off to my house. I packed up my stuff and rush off. What was going thru my mind as I was driving back... actually two things one thing that I should have done and one thing i shouldn't have done. Thing I should have done was check on my dad the night before.. I heard him cough quite bad when I was watching TV but out of fear I didn't go in. (Fear because in my heart of heart I know that Dad is getting weaker and it is very heart breaking to hear him and see him getting weaker) Thing I shouldn't have done was to make my dog chase him that morning. Dad still seem very normal on Friday mring he still did all the things that he did. He was stood at the door when I left he seem like his normal self. Lucky when I was half way home my cousin call to tell me that he is awake but where dizzy. I said and pray to Thank God that he is awake. 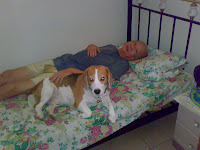 When reach home I saw Dad was awake but very weak. Try to convince him to go hospital and finally managed to get him to the hospital. Drove him to UH into the emergency and I must say the people attended to him quickly. Found out that his sodium level low. So started him on the sodium drip and his level came up. They discharge him at about 4:30. Took him home to rest. 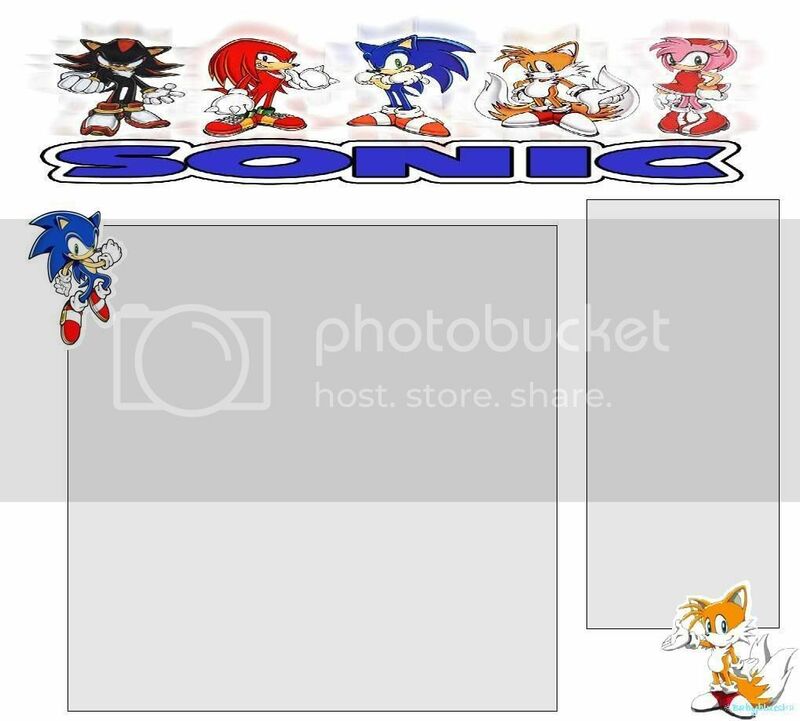 I will stop the post here. and continue to the funny incidents stories post.